Clybourne Park at James Madison University in Harrisonburg, Virginia. 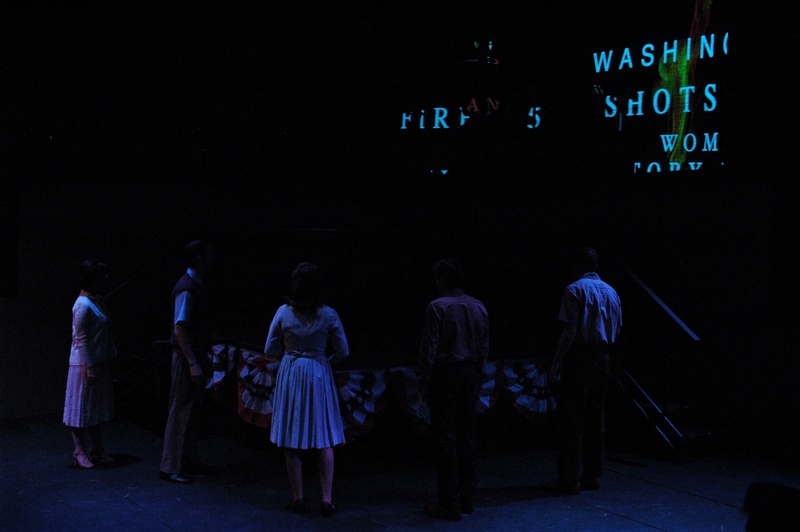 Worked with Lighting Designer Richard Finkelstein and Asst. Lighting Designer Justin Burns to lead hang and focus of plot in condensed timeframe. Challenges included working around extensive scenery (including a 2-part framed ceiling over the stage) to focus and troubleshoot. Addressed and troubleshot intelligent fixtures, including ETC Source 4 LED Lustr+ fixtures, Wybron CXI scrollers, Altman Spectra Cycs, and I-Cue mirrors. Patched and troubleshot plot before tech, then provided assistance during tech rehearsals and managed work notes.